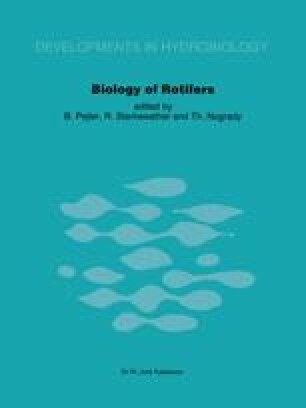 Data on the pelagic rotifer fauna in 10 Estonian lakes accumulated for 20 years, as well as published data are analysed. It is possible to distinguish three main indicator groups among rotifers: (1) for oligo- and mesotrophic lakes (Ploesoma hudsoni, Keratella serrulata, Synchaeta grandis, Asplanchna herricki, Ascomorpha ovalis, Gastropus stylifer, Conochilus hippocrepsis); (2) for meso- and eutrophic lakes (Trichocerca capucina, Filinia longiseta, F. limnetica, Keratella quadrata, K cochlearis tecta, K.c. hispida, Polyarthra euryptera, Keratella hiemalis, Trichocerca porcellus, T. pusilla); (3) for eutrophic lakes (Brachionus spp., Anuraeopsis fissa, Pompholyx sulcata, P. complanata, Trichocerca cylindrica, Hexarthra mira).